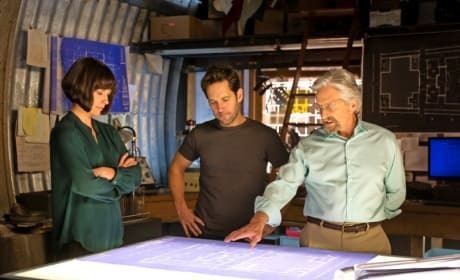 Ant-Man stars Paul Rudd, Michael Douglas and Evangeline Lilly. 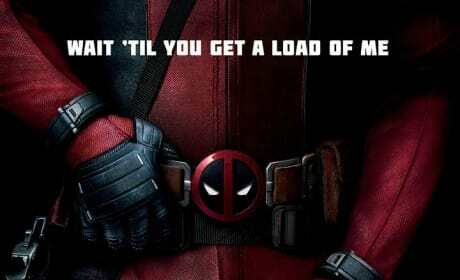 The Marvel movie lands in July. 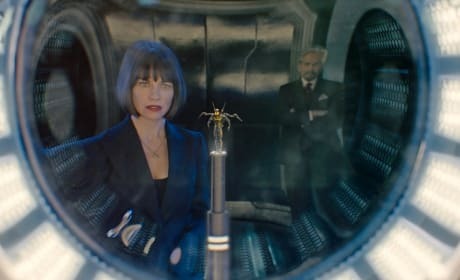 A photo of Evangeline Lilly in Ant-Man. She plays Michael Douglas' daughter in the Marvel movie. Ant-Man himself, Paul Rudd. Rudd is Ant-Man in the Marvel movie due this July. 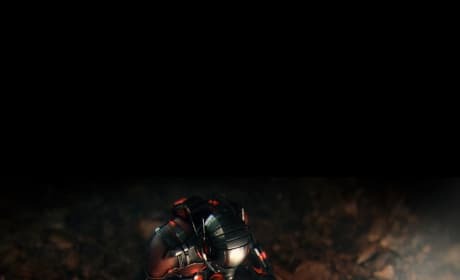 The poster for Ant-Man. The whole cast is here, including Michael Douglas and Paul Rudd. 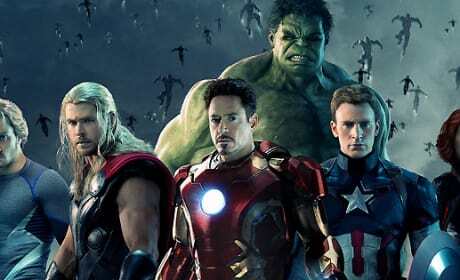 Avengers Age of Ultron Chris Evans Chris Hemsworth Robert Downey Jr.
Avengers Age of Ultron starsChris Evans, Chris Hemsworth and Robert Downey Jr. 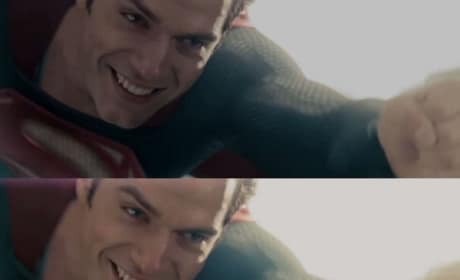 The boys are back in the sequel to The Avengers. 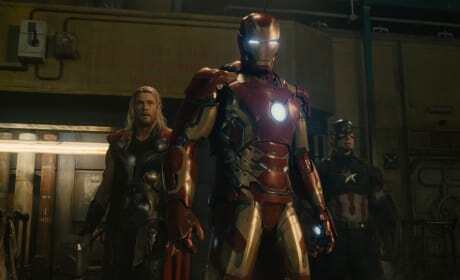 The Avengers are back! 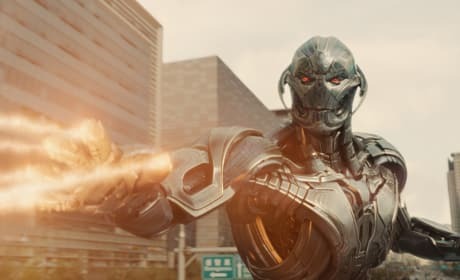 This time they're defending the world from Ultron, a peacekeeping program gone wrong. 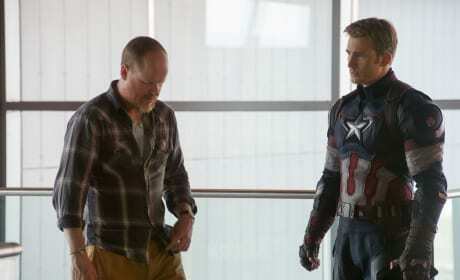 Joss Whedon directs Chris Evans on the set of Avengers: Age of Ultron. 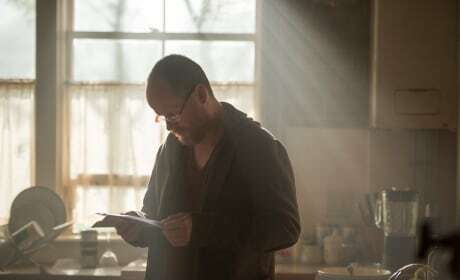 Whedon is back for the sequel to his The Avengers. 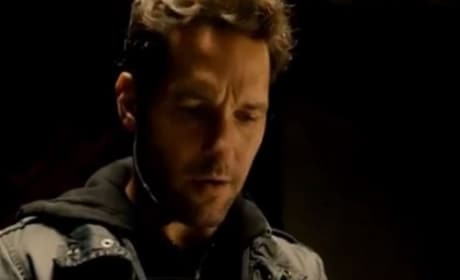 Ant-Man star Paul Rudd. 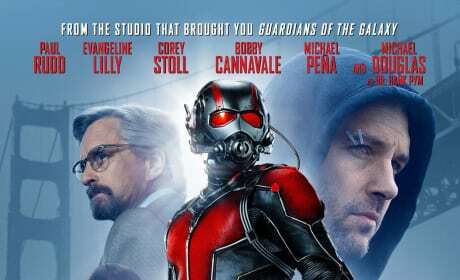 Rudd becomes Ant-Man, but not right away, first he has to steal the suit.